Here I shall introduce a simple recipe for making vinegared rice (used for making sushi). 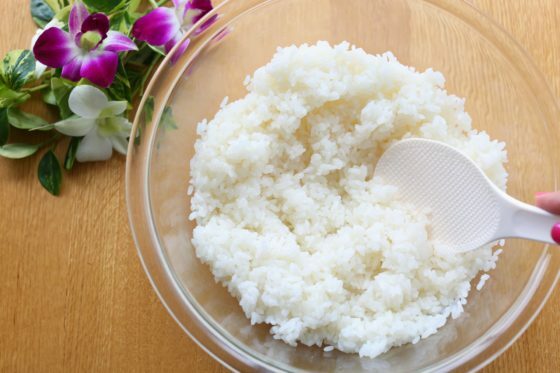 This is the most basic recipe for making vinegared rice, as used in Japanese homes. Simply mix rice with salt, sugar, and vinegar. Your vinegared rice is now ready! This is a recipe for making sushi vinegar and vinegared rice. *Please see here for how to cook Japanese rice. By the way, 660g of rice correspond to two Japanese rice measuring cups. Mix the rice vinegar, salt, and sugar to make the sushi vinegar. Pour the mixture from Step 1 all over the warm rice, and mix it well in order to get rid of all the moisture. First, mix the vinegar, salt, and sugar, to make the sushi vinegar. Pour the sushi vinegar over the warm rice. 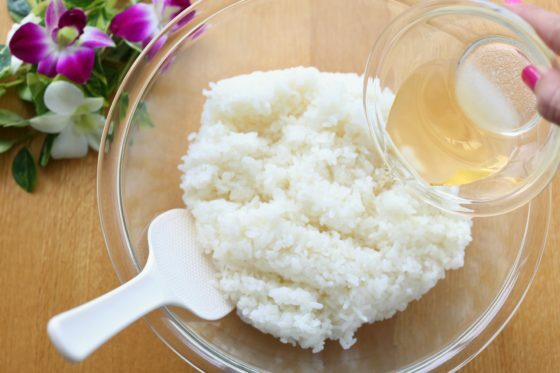 Mix well by cutting into the rice, so that the rice and vinegar are blended together. Your vinegared rice is now ready. In order to get rid of the moisture of the vinegared rice, it is a good idea to leave the rice spread out in a bowl, until it cools down. 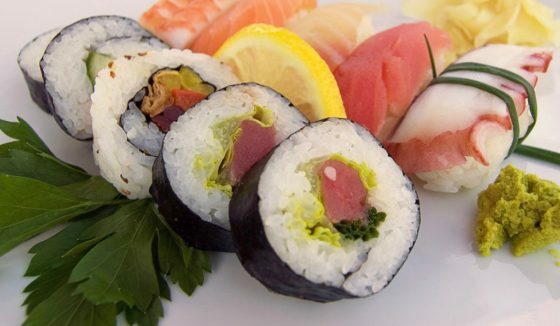 Change the amount of sushi vinegar used depending on the amount of rice being prepared. This allows you to make as much vinegared rice as you like. Please see the table below for the appropriate proportions of rice and sushi vinegar to be used.